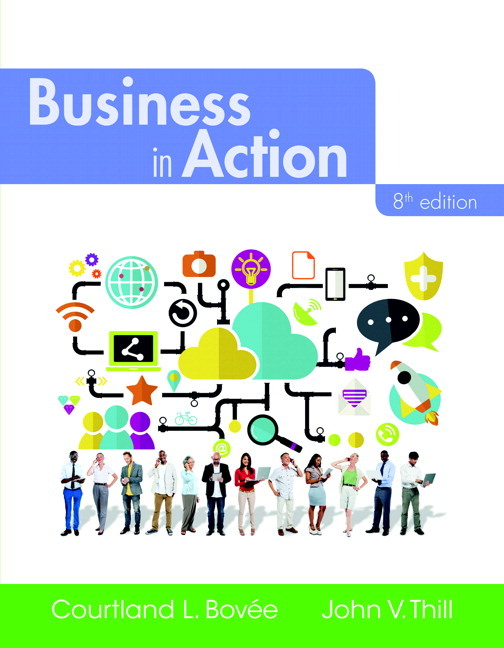 MyBizLab is an online homework, tutorial, and assessment program designed to work with this text to engage students and improve results. Within its structured environment, students practice what they learn, test their understanding, and pursue a personalized study plan that helps them better absorb course material and understand difficult concepts. MediaShare for Business. Consisting of a curated collection of business videos tagged to learning outcomes and customizable, auto-scored assignments, MediaShare for Business helps students understand why they are learning key concepts and how they will apply those in their careers. Instructors can also assign favorite YouTube clips or original content and employ MediaShare’s powerful repository of tools to maximize student accountability and interactive learning, and provide contextualized feedback for students and teams who upload presentations, media, or business plans. Learn More Online is a unique feature strategically located throughout the text, connecting students with dozens of carefully screened online media. These elements–which are categorized by icons representing podcasts, PDFs, articles, videos and PowerPoint presentations–complement the text's coverage by providing contemporary examples and valuable insights from successful professionals. More than 75 new Real-Time Updates-Learn More media items extend the value of the textbook. Chapter 2 discusses the forecasting challenges faced by Apple when the company was planning the launch of its iPhone 6 models. Chapter 3 discusses Cisco’s successful merger-and-acquisition process, which defied the odds when it comes to buying other companies. Chapter 8 discusses the Mexican building-materials giant Cemex’s innovative use of custom collaboration platform to help its global workforce solve pressing business challenges. Chapter 11 discusses Zappos’ unconventional strategies for finding and attracting unconventional employees. Chapter 16 discusses GoPro’s smart use of social media to build awareness of and demand for its rugged action cameras. The Technological Environment (Chapter 1), highlighting the disruptive effects of mobile communication and connectivity. The Trans-Pacific Partnership (PTT) (Chapter 2), highlighting the controversy surrounding this major new trade agreement. Legal Differences in the Global Business Environment (Chapter 2), updating the European taxation controversy that has forced Google, Amazon, Starbucks, and other U.S. companies to change their business practices. Blueprint for an Effective Business Plan (Chapter 6), adding a discussion of the contrary view about the value of conventional business plans and the use of canvases instead. Social Networks and Virtual Communities (Chapter 8), adding an overview of Zappos’ reliance on social networking to keep its growing workforce connected. Gamifying for Healthy Competition (Chapter 10), describing how companies are using game principles to motivate employees. Gender (Chapter 11, in Dimensions of Workforce Diversity), updating the discussion of gender pay imbalance and uncovering the major issues behind the often-quoted statistics about women earning only 70 percent of what men earn. Test Marketing (Chapter 14), expanding the coverage with the new phenomenon of crowdsourced test marketing and crowdfunding as a way to identify potential hit products. Packaging (Chapter 14), broadening the discussion of how packaging decisions are often a tug-of-war between competing economic and environmental concerns. The Outlook for Wholesaling (Chapter 15), adding discussion of how e-commerce technologies let companies such as Amazon jump into traditional wholesaling and distribution channels because some incumbent players were too slow to adapt. The Outlook for Retailing (Chapter 15), expanding the discussion points of overcapacity, the emergence of mobile commerce, the growth of multichannel retailing, and data security and privacy concerns stemming from personalized marketing efforts. Physical Distribution and Logistics (Chapter 15), using Amazon’s new same-day delivery service and experimentation with delivery drones to highlight the importance of competitive physical distribution in the marketing mix. Public Relations (Chapter 16), explaining how social media have upended the traditional practice of public relations. More than three dozen new review, analysis, and application questions and student projects have been added. Enhanced coverage of the revolution in mobile connectivity and the many ways in which mobile is reshaping business. 14 all-new exhibits and 45 updated or redesigned exhibits, further expanding Business in Action’s unmatched portfolio of value-added instructional visuals. 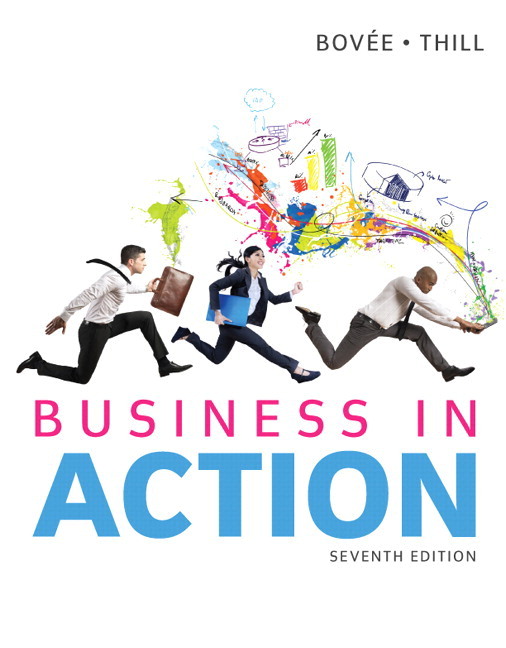 Courtland L. Bovée and John V. Thill have been leading textbook authors for more than two decades, introducing millions of students to the fields of business and business communication. Their award-winning texts are distinguished by proven pedagogical features, extensive selections of contemporary case studies, hundreds of real-life examples, engaging writing, thorough research, and the unique integration of print and electronic resources. Each new edition reflects the authors’ commitment to continuous refinement and improvement, particularly in terms of modeling the latest practices in business and the use of technology. Professor Bovée has 22 years of teaching experience at Grossmont College in San Diego, where he has received teaching honors and was accorded that institution’s C. Allen Paul Distinguished Chair. Mr. Thill is a prominent business consultant who has worked with organizations ranging from Fortune 500 multinationals to entrepreneurial start-ups. He formerly held positions with Pacific Bell and Texaco.